Dr. Larry P. Bleier was raised in Fair Lawn, New Jersey and graduated from Fair Lawn Senior High School. He received his Bachelor of Science Degree from Rutgers- The State University -and received his Dental Degree (D.M.D.) from the University of Pennsylvania School of Dental Medicine. After two years as a general dentist in in the U.S. Air Force, he returned to Boston and was appointed to a two year Clinical Fellowship in Periodontology at the Harvard School of Dental Medicine. Dr. Bleier was also appointed Resident in Periodontology at the Veterans Administration Hospital in West Roxbury, Massachusetts and at the V.A. Boston Outpatient Clinic. Dr. Bleier received certificates in Periodontology at both the Harvard School of Dental Medicine and from the Veterans Administration Residency Programs. Since 1980, Dr. Bleier has maintained a full time private practice in Endicott, New York. Dr. Bleier practices a full scope of periodontal procedures, including dental implants, and oral medicine. He is proud to have trained in 1986 with Dr.'s Ulf Lekholm, Torsten Jemt, Bertil Friberg, and Per-Inguar Brånemark, at the Brånemark Implant Clinic in Gothenburg, Sweden. 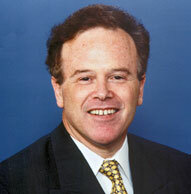 He is a member of the Northeastern Society of Periodontists, the American Academy of Periodontology and Internation Academy of Osseointegration, which advances the state of the art and science of Dental Implantology, The American Dental Association, The New York State Dental Society, Sixth District and the Broome County Dental Society. Dr Bleier is a Diplomate of the American Board of Periodontology. Dr. Bleier has served as Chairman of the Department of Dentistry of United Health Services Hospitals, Johnson City, New York. He has been appointed a Clinical Instructor at Upstate Medical Center, State University of New York at Syracuse, New York, and has done dental related research at the State University of New York at Binghamton, New York. Dr. Bleier and his wife Rita live in Vestal, New York and have three grown children: Seth, Bethany, and Scott. They have seven grandchildren. His favorite interest is the outdoors and he enjoys fishing. SEE Hunters Honer – a surgeon’s sharpening stone invented by Dr. Bleier for you hunting and fishing buffs. Dr. Bleier also holds both U.S. patents and multiple international patents in finishing technology for all industries.